What better way to kick off my new blog with our favorite recipe of all time! I know this is a bold statement, but it's certainly true.We first had this at a weekend get together on the lake. My mom insisted on making dinner one night and that she had a fantastic recipe she wanted to share from her dear friend Nancy (who always has the best recipes)!! I can honestly say this is the only pork chop recipe I will eat now. I am not a fan of this particular cut of pork because it is notorious for drying out when cooked. And with what little amounts of meat that I consume, I want it to be juicy and delicious when I do. So although skeptical at first, I knew if my mother was a fan, it had to be fantastic. I just remember looking over at my mom and husband after taking a few bites and they were simultaneously gnawing on the chop bones! This is a recipe that Ryan and I could eat once a week for the rest of our lives. It is great to prepare on Sunday night for a quick Monday night dinner with vegetable sides (which is what we did here). The longer the brine works its magic, the juicier the chop! Combine the buttermilk, salt, sugar, lemon rind, rosemary and sage in a large zip-lock bag. 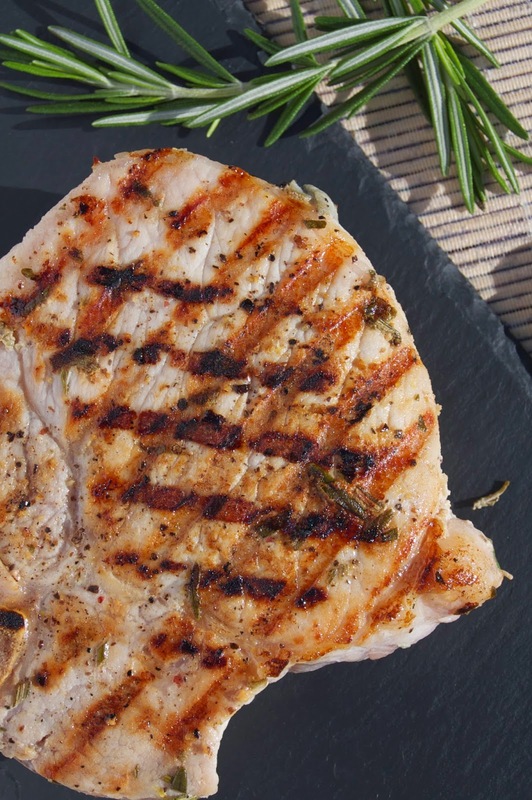 If you are making more than 4 chops, only put up to 4 in one zip-lock quart-sized Freezer bag so each chop is well coated. Seal the bag and shake well to dissolve the sugar and salt. Depending on where you get your chops from, I like to rinse and pat dry before adding into the brine. Add chops and seal the bag. Gently mix around (be careful not to puncture the bags with the chop bones) and lay flat in a large bowl or square baking dish. Refrigerate overnight or up to 24 hours, turning the bag occasionally. (I have also let them sit for as little as 7 hours and they are still fantastic). After brining, remove the chops from the bag and discard the brine. Pat the chops dry with paper towels and sprinkle with freshly ground pepper on both sides. This is best on the grill - heat grill to medium heat. Grill the pork chops on each side for about 4 minutes (depending on thickness). 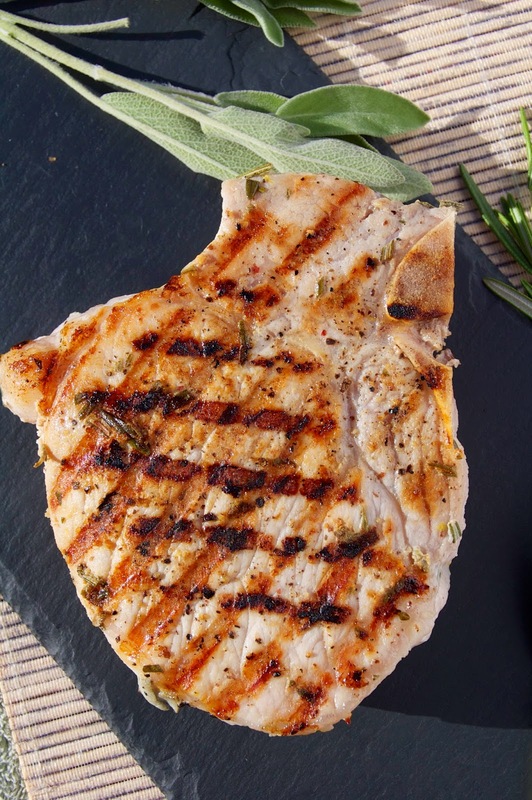 Let the chops rest for a few minutes before serving and enjoy the best pork chop you will ever have! If the weather is bad or you don’t have a grill, you can heat a large non-stick pan over medium high heat. Coat the pan with cooking spray and cook the chops about 3-5 minutes per side (depending on thickness). 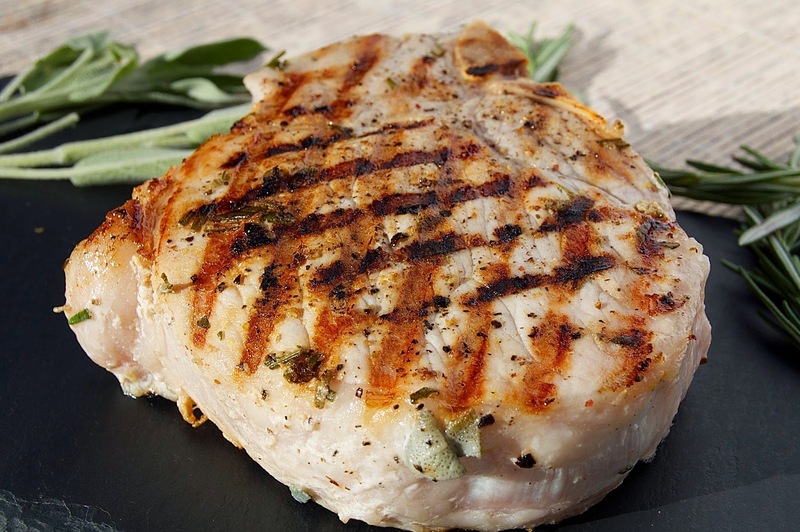 Let the chops rest for a few minutes before serving and enjoy the best pork chop you will ever have!